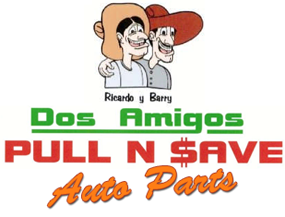 Visit our You Pull It Yard, Dos Amigos Pull N Save. Bring your own tools and pull your own parts. ALL parts will be cleaned, Magnaflux, painted and wrapped before they are shipped or delivered. American Auto Salvage is committed to delivering to you, our valued Customers, only the highest Quality used parts combined with the Best Prices and Prompt Delivery that will exceed your expectations. We specialize in foreign and domestic cars and trucks with the strongest warranty in the industry. We are URG 8000 certified, meaning our business has attained the highest standards in our industry. Based in Fort Worth, American Auto Salvage serves the greater northeast region of Texas, from Waco to the Oklahoma line and everywhere in between. We know the value of a good Customer and do everything we can to provide the finest auto parts and service available. Call Us First!